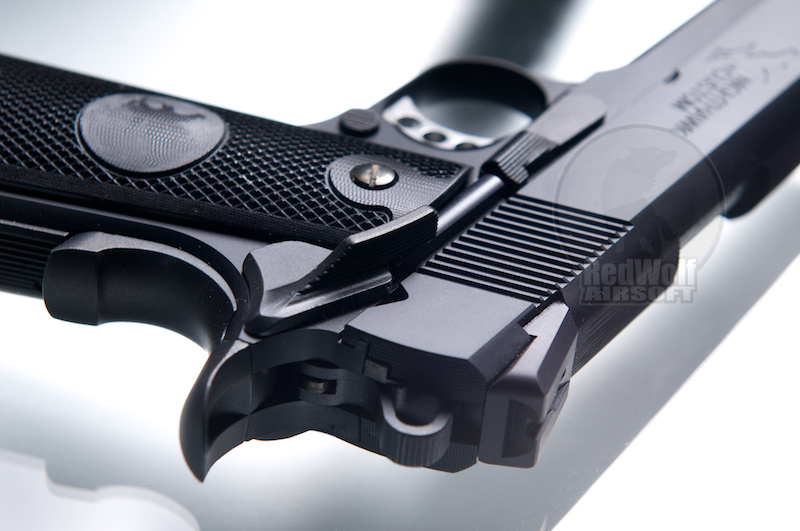 Chris Costa (Magpul) & Travis Haley both use Nighthawk Custom pistols in their 1911 shooting classes, which says a lot about the quality and performance of Nighthawk Custom 1911s. 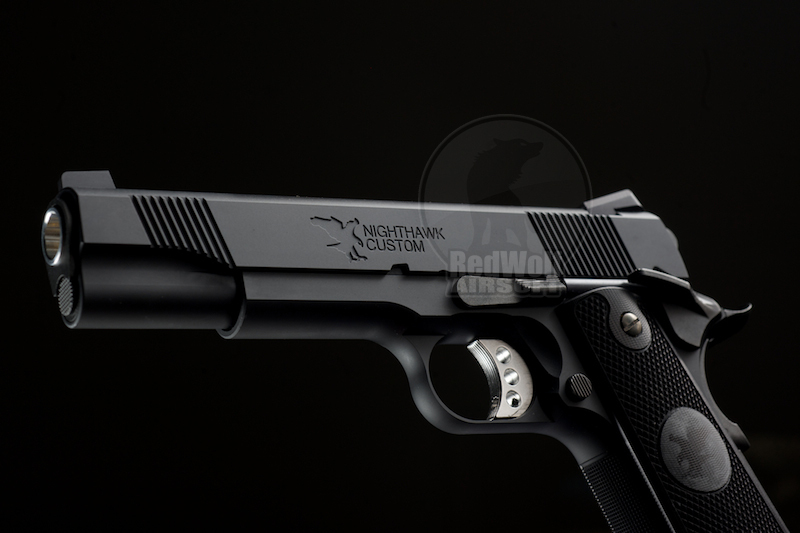 Fast, precise, and reliable, Nighthawk Custom 1911's are precision tools in the hands of a surgical operator. 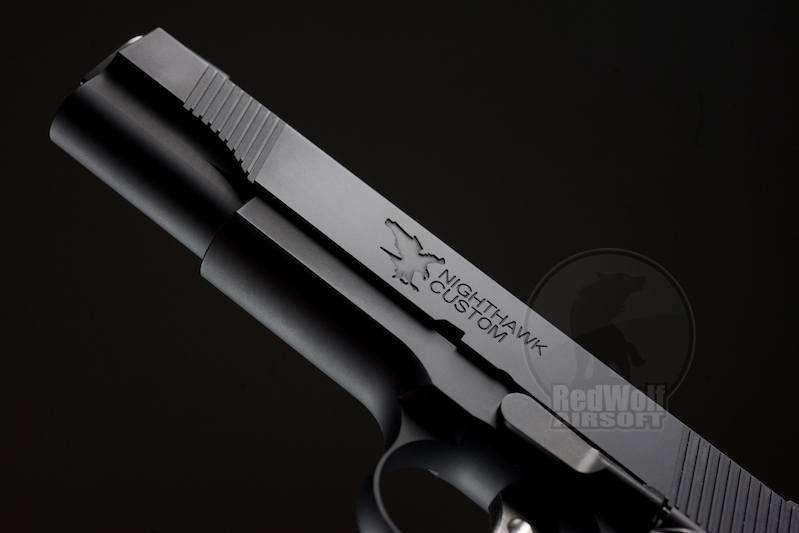 Based in the Ozark Mountains in Arkansas USA, Nighthawk Custom is world famous for their high quality custom 1911 pistols which are the market leader for high performance shooters and competition shooters alike. 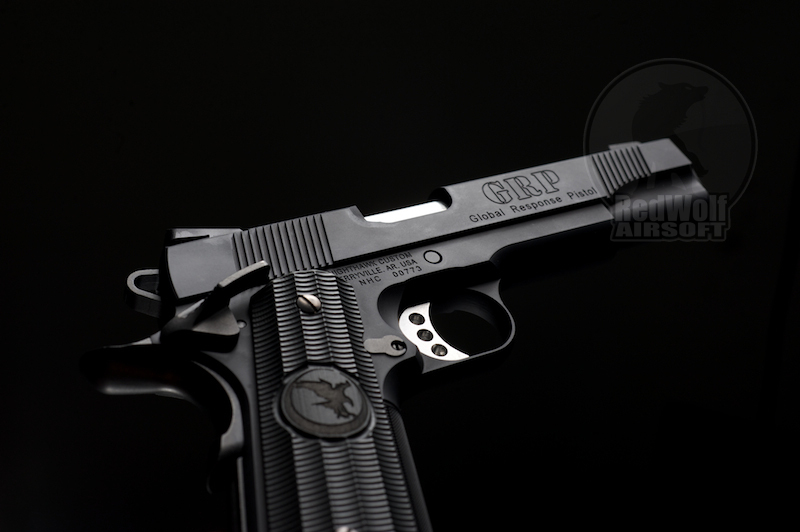 Officially licensed versions of the Nighthawk Custom GRP (Global Response Pistol) and Talon 1911's are now available from RWL. Like their real steel counterparts, these pistols are commensurately high quality and well crafted in the Airsoft world. The beautiful frame and slide are made from CNC 6065 aluminum, and it is powered by a 100% Marui compatible gas blowback system internally. 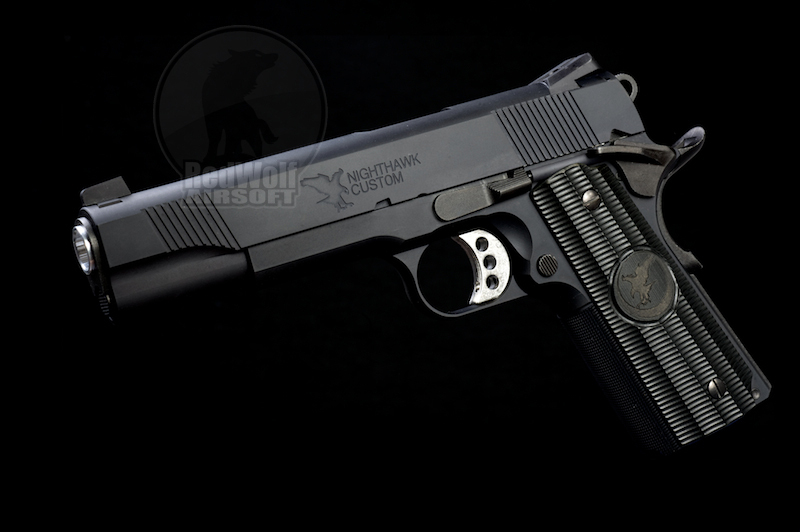 Each Airsoft Nighthawk pistol is hand built by an individual gunsmith and not mass produced, just like the real thing. 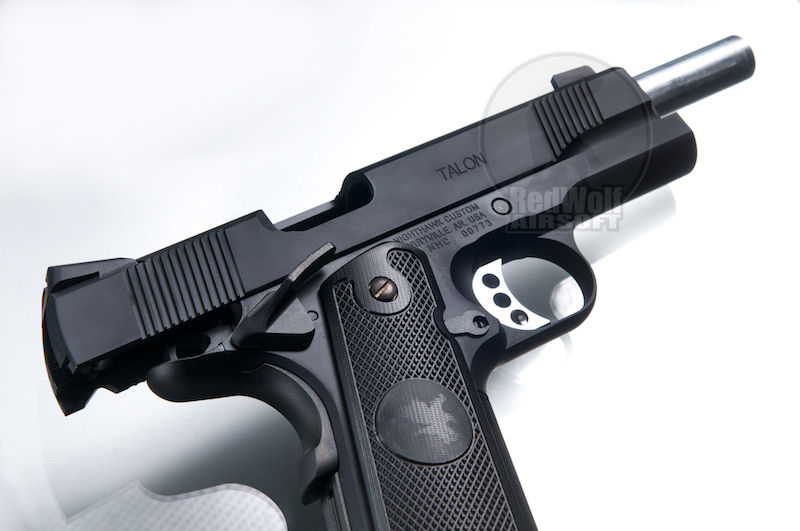 This is in line with Nighthawk Custom's desire to maintain their high end quality for the Airsoft market as well. 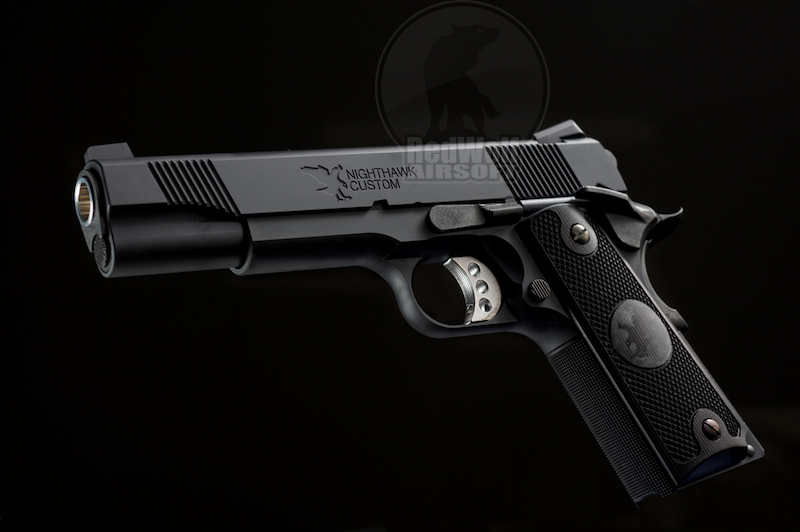 Intended for training use or the discerning collector, these pistols come with genuine Nighthawk Custom grips for authenticity. 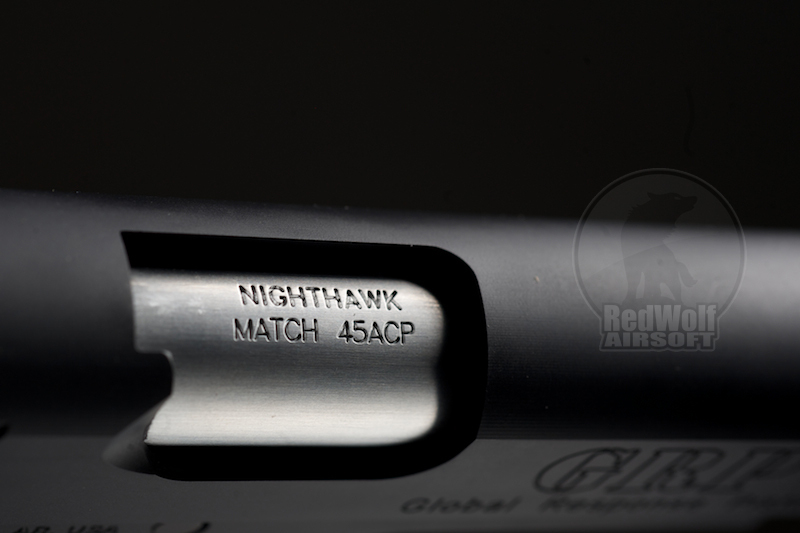 "The GRP and Talon represent the staple of Nighthawk Custom's offerings", says Paul Chu from RedWolf Airsoft, which holds the worldwide exclusive license for Nighthawk Custom. "Nighthawk wanted to enter the Airsoft market with these two models, and will look to diversify into other models in the future", he added. "Redwolf Airsoft's core values are very much aligned with Nighthawk's religious pursuit of quality and craftsmanship, and we look forward to releasing more premium grade Nighthawk products for Airsoft in the future". RWL Nighthawk Custom GRP and Talon is exclusively distributed by RedWolf Airsoft, and can be purchased at premium dealer outlets worldwide.